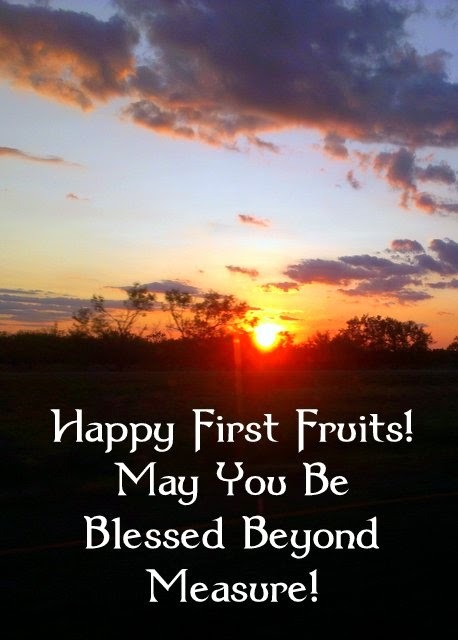 Texasdaisey Creations: Happy First Fruits! As many Christians are celebrating what is called Easter, I have made a choice (as a Christian) to celebrate in a different way. I don't mind that others choose to spend their time this time of year coloring Easter eggs, talking about the Easter bunny and such because I used to do the same until I was shown a different way. You see, this is actually what the scriptures call the First Fruits Celebration. Easter is a holiday created in the time of Constantine to help many different cultures get along so many different celebrations...Christian, pagan and otherwise were combined into Easter. When Christ arose from the dead He fulfilled the prophecy as the First Fruits of what is to come in God's Kingdom. Don't worry, I don't judge those who still celebrate it as Easter because I am thankful that they celebrate Him and that is ultimately what matters the most. He arose from the dead and He lives today! He released all that He accomplished and all that He deserves to us and That is something to celebrate no matter what you call it! Thank you for posting this. I am uncomfortable with the egg/bunny hoopla. Am not judging those who do this but for me there is only one meaning for Easter and his name is Jesus. Have a great day!